Truck Graphics, Wrap, Vehicle Livery, Event Buses, Curtain Side Truck Prints, Vehicle Branding, Trailer Decals, Train Graphics, Freight Media, Truck Advertising Frame System, Bus Wraps, 3m, avery vinyl wraps. Vehicle wrapping is a new vinyl revolution which has been designed as a cost effective means of colour wrapping a vehicle whether for promotional purposes or for long term applications. Many companies are increasingly aware of the effectiveness of vehicle branding as a means of reaching their target audience. Furthermore some companies are moving one step ahead and paying the general public to have their vehicle wrapped with their slogan earning the driver up to £200 a month. According to statistics taken in 1998 on average a busy vehicle can be seen by 3000 people every hour, that is 3000 potential customers. This point alone shows that this is an innovative and effective method of advertising. The wraps educate, entertain and inform motorists and pedestrians while they are commuting. They can reach consumers in conditions that radio, television and print are ineffective and they are appreciated for their ability to humour motorists and pedestrians as well as alleviate boredom when stuck in traffic. Most important is that "wraps" are one of the only forms of advertising that cannot be switched off, tuned out or lost in a quicksand of other advertisements. Wraps have many advantages over conventional re-sprays and with our fitters' skills to cover any vehicle, this can be applied and removed within 24 hours. What is Vehicle wrapping ? Outdoor media has become a vital element in advertising and the media mix. It plays a complementary role to several advertising tools and can also stand-alone. Outdoor has become a multi-billion pound industry that includes roadsides, above and below ground ads – and most recently, moving vehicles. When we hear about outdoor advertising our thoughts automatically gravitate toward billboards and storefront signs. One medium within the outdoor arena that is sometimes overlooked is vehicle wrapping. Vehicle wrap offers an advertising tool that doesn't wait to be seen but goes out and proactively markets itself. This approach is quickly becoming an outdoor standard as a cost-effective complement to billboards. Long commutes are becoming more acceptable as the population moves farther out into the suburbs. These longer commutes also make it harder to reach potential customers. Those are prime demographics for most advertisers. And what better way to reach them than by sitting next to them for a couple of minutes at a traffic light? 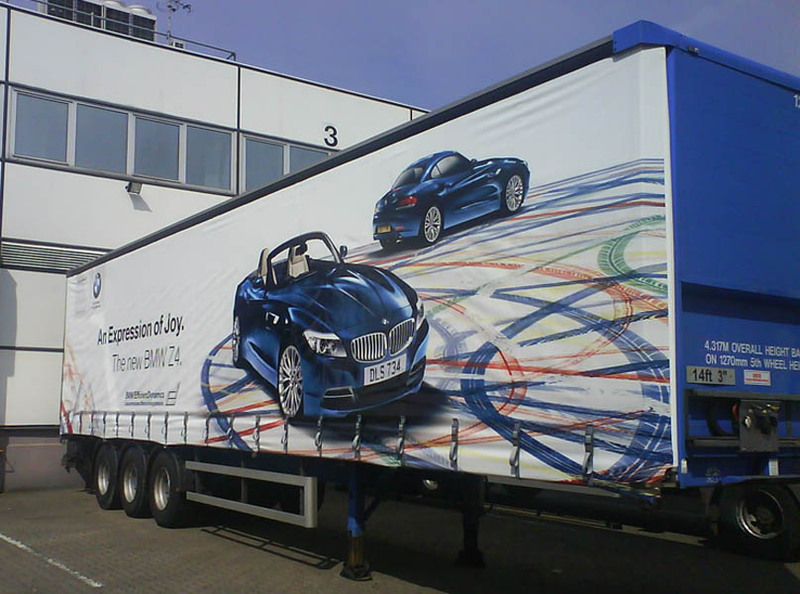 The vehicle wrap can be thought of as a rolling billboard that's in constant movement and covers vast areas (including the places all the other media can't reach). 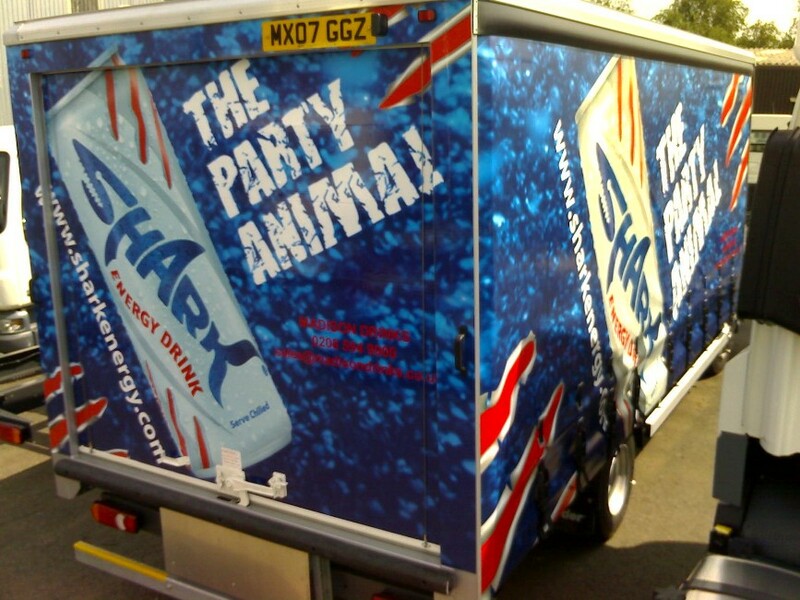 Wherever consumers travel in the course of a day a vehicle wrap is sure to be there, driving your message home. 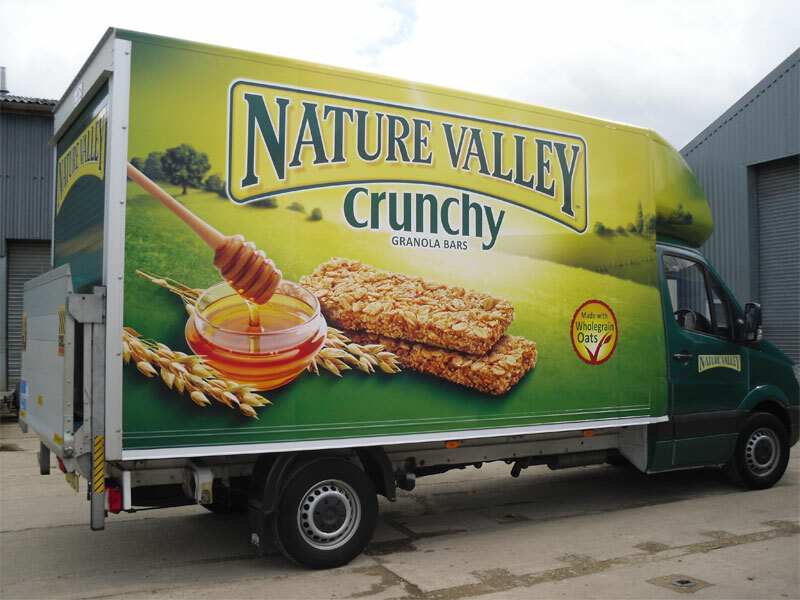 Vehicle wrapping is the new mobile outdoor advertising medium and seems to be popping up in every major city in the UK and abroad. Wrapping vehicles is about placing large detailed decals. Applying them to vehicles is a very sophisticated process involving being able to print on the vinyl films and perfectly cover the vehicle with that advertisement. A good wrap must be able to cover the windows but not impede visibility and its vinyl materials must be weather resistant to heat, UV, cold and wind. Adherence to the vehicle shell is important, as the wrap must stay on without it peeling off, before purposely being pulled off. Lastly, the vinyl must be easily removed without damaging the vehicle surface with an adhesive residue or even worse, stripping the exterior paint off the vehicle.